Just about anyone can put a rappel device on a climbing rope and lower themselves, we're not gonna spend a full day simplifying that any more than we just did. What we are going to spend a full day on is learning how to get out of bad situations that happen during rappels. 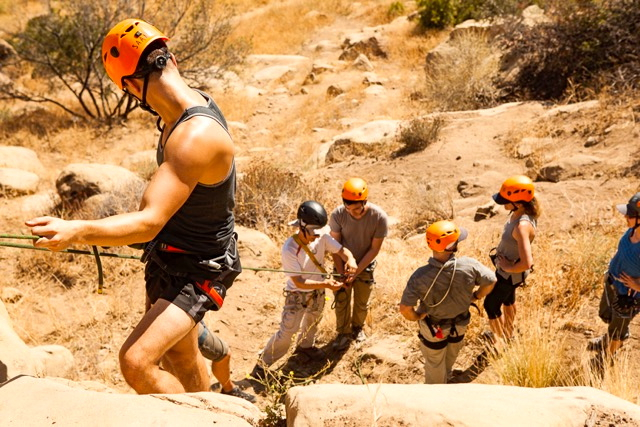 For example, how to pass a knot safely (it won't be easy, but it'll be safe), how to rappel with a partner that isn't as comfortable rappelling as you are (maybe it's their first time! 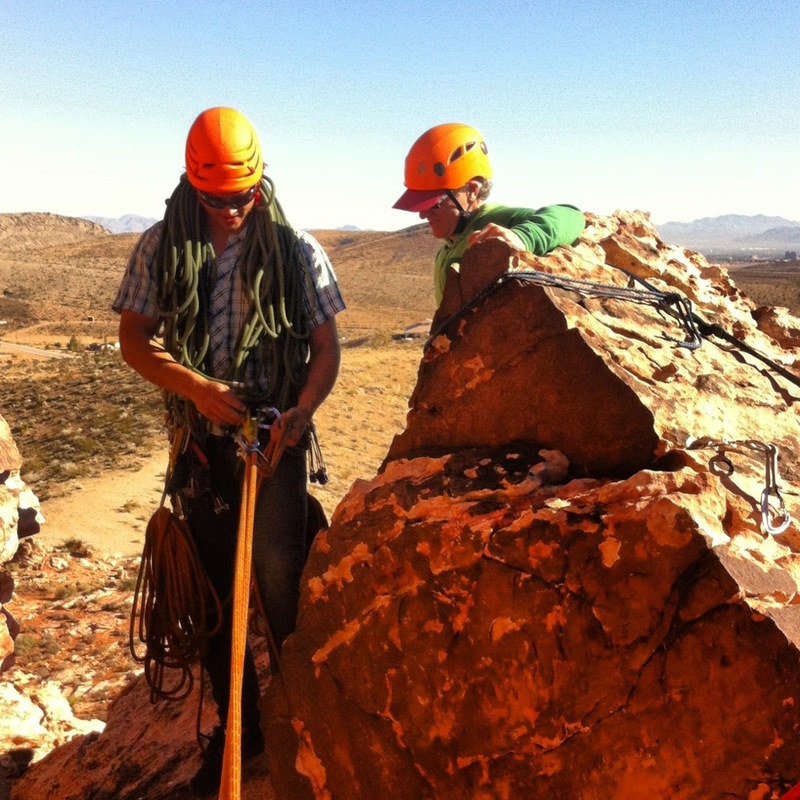 ), and how to rappel with an injured or incapacitated climbing partner. We'll teach you lowering techniques in case you need to lower your partner to the ground from above. You're also going to learn some great leverage systems that we hope you never need to use, but are commonly used by professionals (both in guiding and in rescue scenarios). You'll learn techniques to help you partner aid their way through a tough stretch of a climb, or, in case of a partner fall on overhanging terrain, in which they can't get back to the wall, how to raise them upwards safely (no matter how much they weigh!). 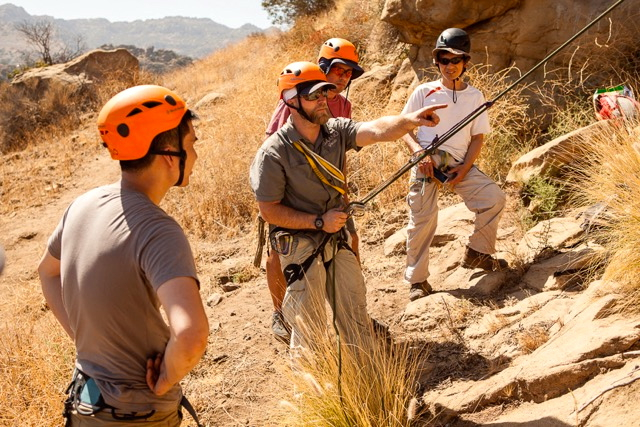 In this class we will build on the knowledge you gained in your Level I Rock Climbing Anchors and Rescue Workshop (a prerequisite for this course). The Level I Rock Climbing Anchor Building and Rescue Workshop ensures that anyone taking this course has at least the same foundational knowledge of knots, anchors, and basic rescue systems. Comfortable athletic clothing; sneakers (for when you're not climbing). If you have your own personal climbing/safety equipment bring it. If you need to borrow gear from us, just let us know your waist size (for the harness), and shoes size (for our magic climbing shoes). We will be rock climbing at Stony Point Park in Los Angeles. Stony Point is located on the SE corner of the 118 Freeway and Topango Canyon Blvd/CA-27. We recommend parking along Topango Canyon Blvd (Northbound). 7:15 AM - Depart for the cliffs. 8:00 AM - Arrive at the climbing area; check-in (for those driving to meet); final gear check. 5:30 PM - Departure from the cliffs. 6:00 PM - Estimated return time.